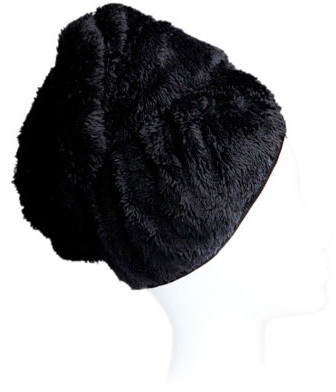 On days when you need your hair to dry quickly but refuse to stand under a hot blow-dryer, this super absorbent turban soaks up excess moisture without leaving hair frizzy. Substitute the Dream Turban for your post-shower towel to simplify your beauty routine. Tote it to the beach or pool parties and use it to squeeze water out of soaking-wet hair. 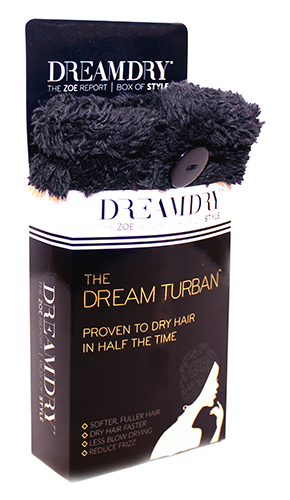 The exclusive textile technology in our DREAM TURBAN™ is proven to help dry hair in half the time by absorbing maximum water moisture. And the incredibly plush texture significantly reduces that unwanted frizz, while helping to improve hair quality and shine.